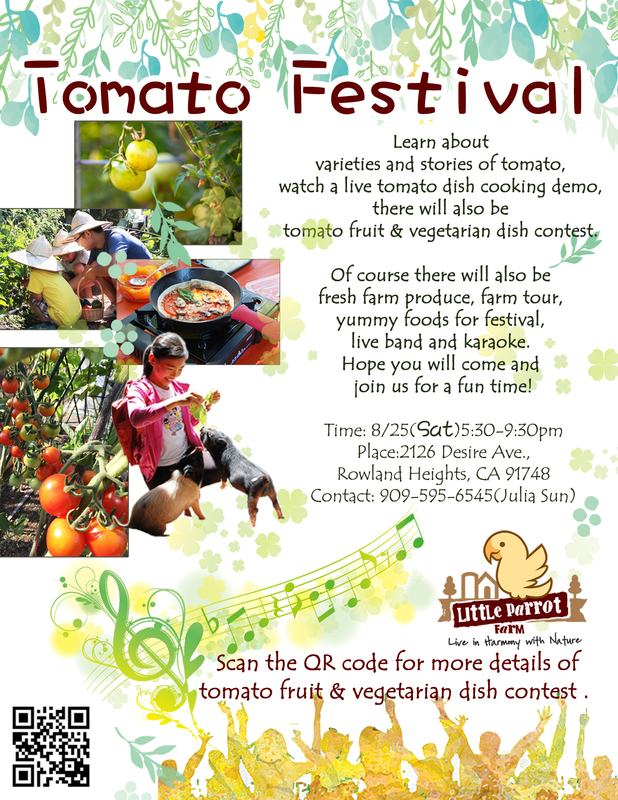 On the day of the event, a gardening expert will explain how to grow tomatoes. Cooking recipes, healthy organic food, drinks, farm fresh produce, and farm tours will be offered. To highlight the fun of a midsummer night gathering, Karaoke will also be available for those who enjoy it. Family and friends are welcome. If you have a special talent in growing tomatoes or preparing a tomato dish, please join us for the Tomato growing and cooking competition.